For over ten years Rotarians in Jordans and District Club and in Dharan Ghopoa Club in Nepal have been working together to reduce the incidence of iodine deficiency disease in Nepal. RC Pinner The annual celebration in Pinner High Street, with the famous Wheelbarrow Race at 3pm. RC High Wycombe Keynote Speaker - TONY ADAMS Bring items for valuation (£10) by SIMON BROWN. Tonight we are in the Caledonian Suite, Adams Park. Tickets £25, Table of 8 - £175, 10 - £225 Click on the blue DETAILS for a link to the Auction Site itself. RC Thame and District The Rotary Club of Thame & District together with Thame & District Round Table is asking the local public to check their sheds and lofts and bring their old tools in the main car park of Thame near the Market House. Garden tools will NOT be accepted. See Details for more downloads. We are people of action, making a difference in our communities. 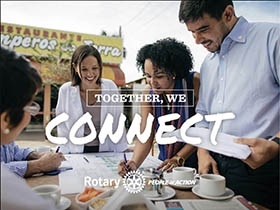 GIVE SOMETHING BACK: If you enjoy helping others, connecting with Rotary gives you the chance to do something really worthwhile. FUN AND FRIENDSHIP: Rotary membership is a lot of fun. We arrange activities which provide a welcome distraction from busy lives and the opportunity to make new friends who share common values. BUSINESS OPPORTUNITIES: Rotary was founded over 100 years ago as a business networking club and this is still part of Rotary life. Ethical practice is encouraged and, with members drawn from all walks of life, the opportunities to network are endless. 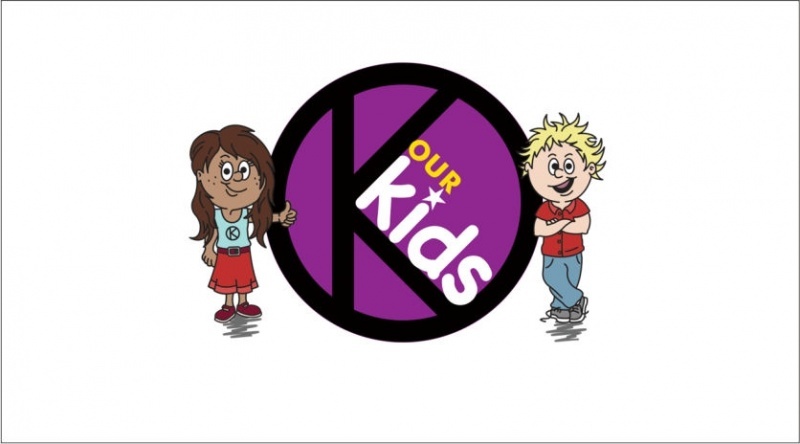 A new District initiative has been launched in partnership with "OK Our Kids". It is hoped that all primary schoolchildren in our District see a copy of the book Watch Out, published by OK Our Kids, to help them navigate through the dangers in the world out there which all children face these days. Without exception, the response from the teachers in the schools so far approached by our Rotary Clubs has been very positive. Each school needs to decide for itself how to make use of the book amongst its children, and it is already clear from Rotary Clubs' feedback that a number of diﬀerent approaches are being taken. As a guide, here are a few ideas on how the cost of books could be supported by Rotary Clubs in the Thames Valley: . The Rotary Club of Burnham Beeches (RCBB) is the host club for OK Our Kids. The Club has been very successful in obtaining outside funding to help fund the cost of free books. Outside organisations are very supportive and are aware of the challenges that young people are facing in the community today. They want to help!! Frances Habgood Thames Valley Police Speaking about OK Our Kids. The Rotary Club of Marlow launched its new appeal on Sunday 10th March at District Conference. There are still major issues with the shortage of trained medical staff and we would like to start a new medical student training program along similar lines to the first grant. The number of students we can train will depend on the amount of money we can raise. Please give generously. This is the qualifying heat for the Rotary District competition with all of the competitors having won their local Rotary Young Chef competitions earlier in the year. The winner of the national final wins a prize which includes a visit to the olive harvest sponsored by Filippo Berio who are international producers of olive oil. The winner of the competition was Amy Price, 15, of Licenced Victuallers School, Ascot, sponsored by Ascot Rotary Club. The runner-up of the competition was Emily Woodford, 14, of St Gabriel’s School, Newbury, sponsored by Thatcham Rotary Club. 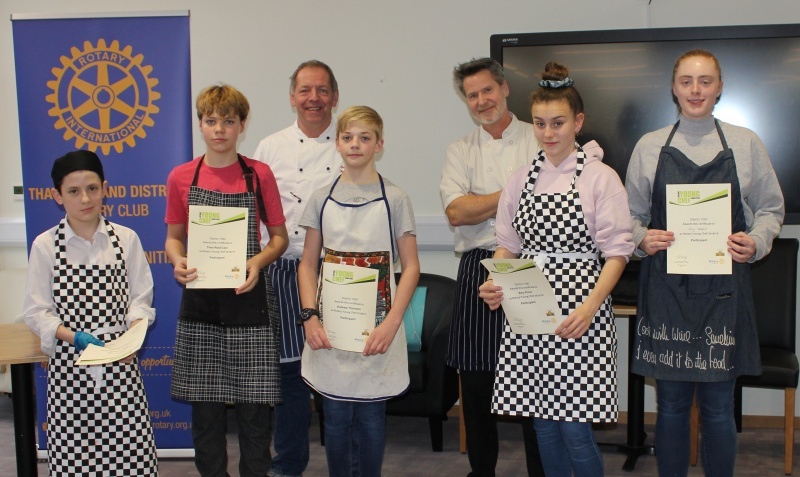 The competition was judged by Malcom Baggott, Catering Course Leader at Newbury College and Laurent Lebeau who is the Chef/ Proprietor of the Red House at Hamstead Marshall. 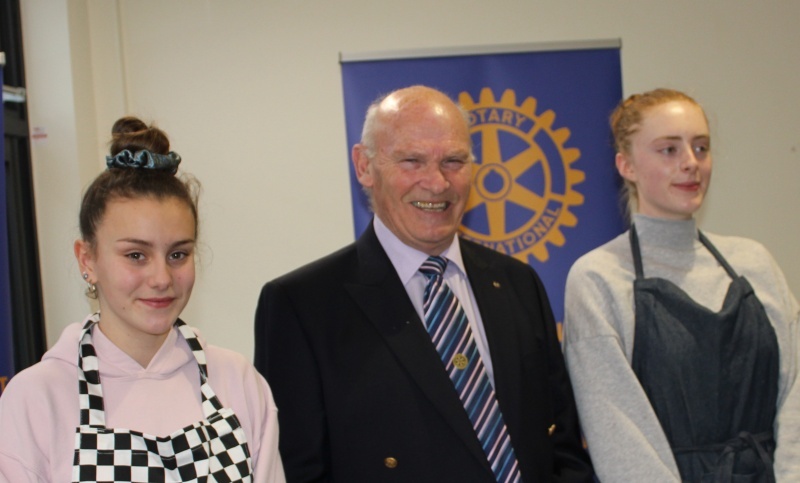 The Competition was opened by Rotary District Governor Gillian Pearce and the prizes were awarded by Chas Cairns, Rotary District Co-ordinator for Youth. So if any of the above inspires you to get involved, get in touch with us today and become a Rotarian. Our District Final was held on Sunday 17th March at St Joseph's College, Reading. There were 11 contestants representing the clubs of Loddon Vale, Reading Maiden Erlegh, Banbury and Ascot. The overall standard was extremely high. There were 5 singers, three pianists, a cellist, a violinist and a flautist. The winning vocalist was Florence Cain, supported by Loddon Vale and Reading Maiden Erlegh jointly, and the winning instrumentalist, supported by the same clubs, was cellist Oliver Simpson. Florence and Oliver will proceed to the South-East Regional Final, as will also pianist Sandro Shargarodsky as instrumentalist runner-up. 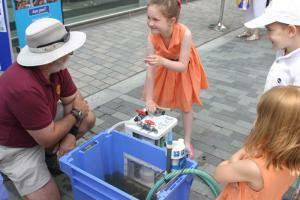 He is supported by Ascot Rotary Club. DG Gillian Pearce presented trophies and certificates. Two days, 29 Rotary clubs, hundreds of volunteers and 100,000 meals packed to feed hungry school children in Kenya. Together, we unite to make a difference. 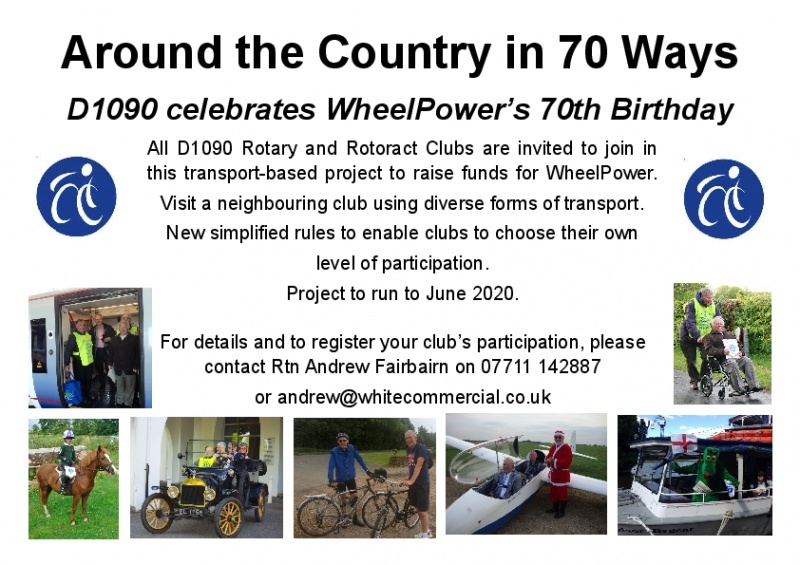 Thames Valley e-Rotary is a new venture, introducing a different set of opportunities for those wishing to support their local community but unable to participate regularly though pressures of work, family or travel. This new group operates online with regular discussions, interesting speakers and support for local communities. 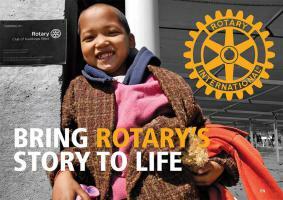 'Rotary Working for a Better World'.